We have known for a while that Chrome OS tablets would soon arrive in the market. 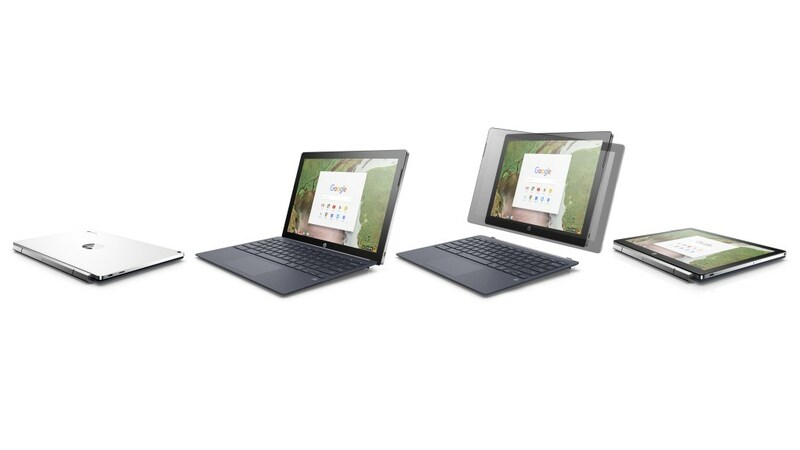 Acer announced its first Chrome OS tablet, named the Acer Chromebook Tab 10, a few weeks ago at a $329 price point. 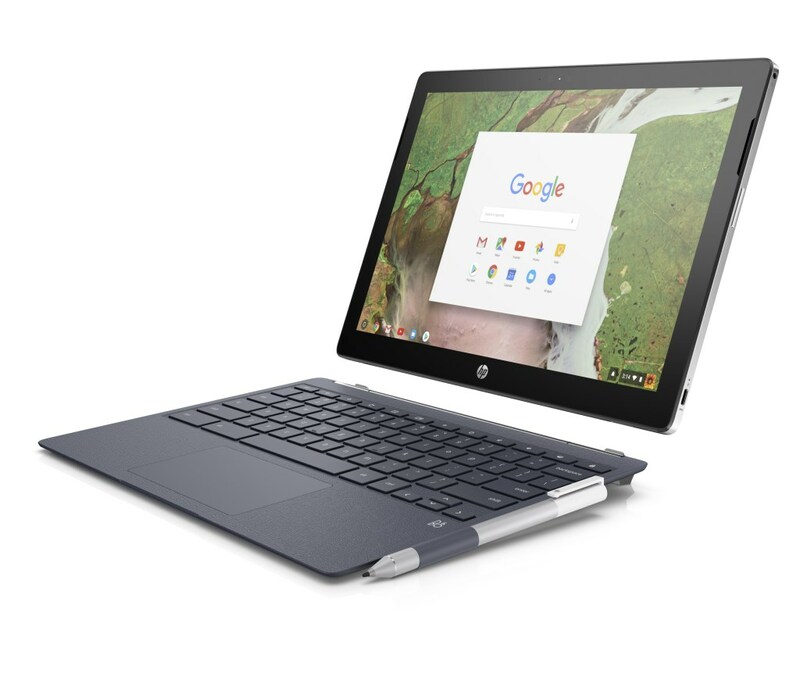 Now, HP has announced the world’s first Chrome OS detachable tablet. It’s called the HP Chromebook X2, and it’s priced at $599. The HP Chromebook X2 is powered by the 7th generation Intel Core M3-7Y30 processor, which comes with Intel HD Graphics 615 integrated graphics. It has either 4GB or 8GB of LPDDR3-1600 SDRAM, which is paired with 32GB of eMMC storage. 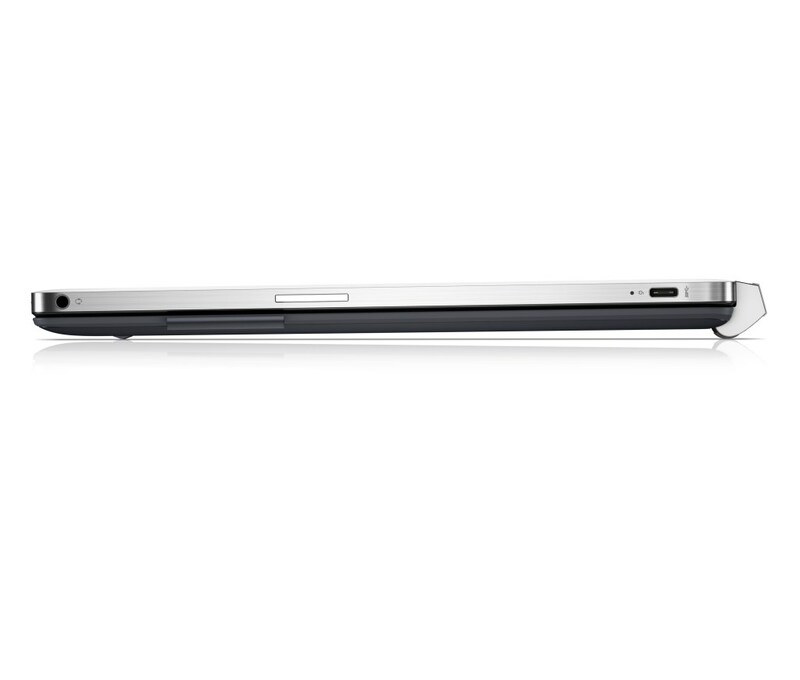 It has a 12.3-inch 2400×1600 IPS WLED-backlight touchscreen display. It has a 13MP rear camera, and a wide vision 5MP front-facing camera. It comes with Intel 802.11ac Wi-Fi (2×2) and Bluetooth 4.2. Its speakers are enhanced by B&O Play. It has a full-size island-style keyboard, and a touchpad that supports active gestures. It comes with the HP Active Pen in the box. 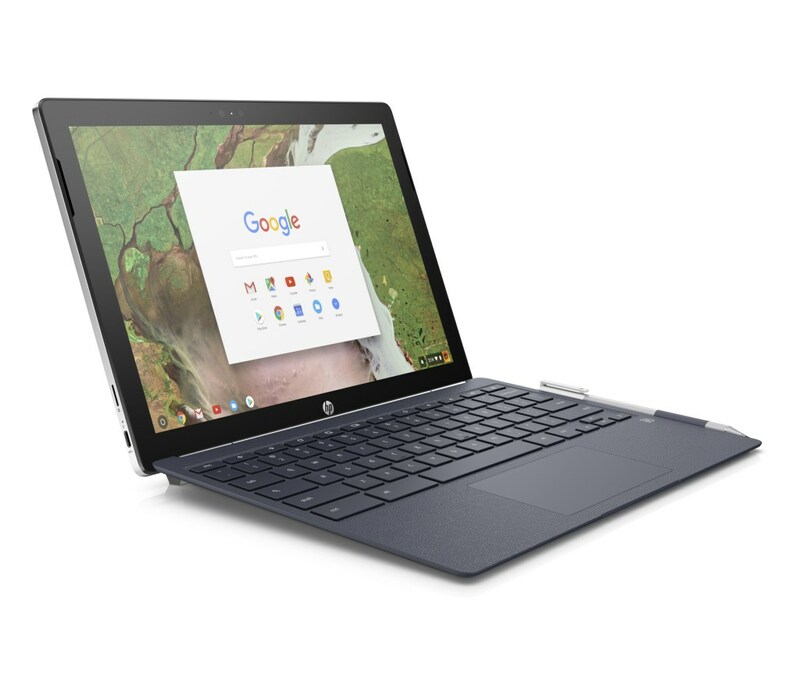 The HP Chromebook X2 has a premium design with a ceramic white anodized aluminium finish and a leather-like surface in Oxford Blue on the detachable full-sized keyboard. The keyboard is also reinforced with metal internally, which should provide a rigid base. The Acer Chromebook Tab 10 was the first Chrome OS tablet to be announced, but it’s aimed at the education sector. As such, it isn’t aimed for consumers, and it won’t be widely available. On the other hand, the HP Chromebook X2 will be aimed for consumers, and its specifications differentiate it as a higher-end detachable tablet. It should be noted that there are other detachable Chromebooks in development as well. The Samsung Nautilus has been in the rumor mill for a few months, and so have the ‘soraka’ and ‘poppy’ detachable Chromebooks. 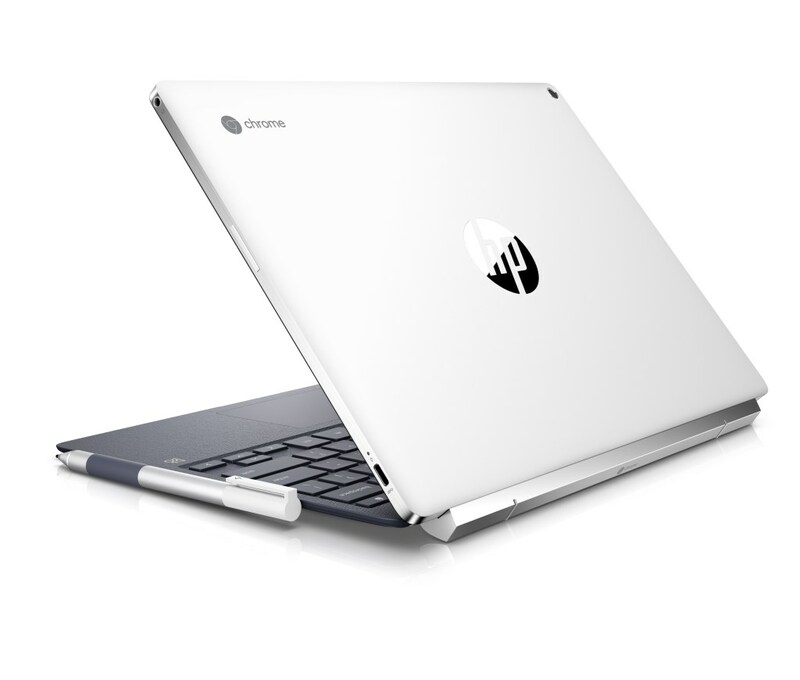 The HP Chromebook X2 is the first detachable Chromebook to actually be announced, though. A detachable tablet means users can either use the device as a slate tablet or a clamshell laptop. This form factor was popularized by the Microsoft Surface. The key thing here is that the detachable form factor means that these devices probably won’t be as suitable as laptops in some scenarios (such as using it on a lap). On the other hand, detachables can be used as tablets as well, which makes them more versatile. The HP X2 has an actuating hinge like the Microsoft Surface Book. This means that when users attach the keyboard portion of the device, they can open and close it like a clamshell laptop. They can also use the tent and display modes like a convertible device if they take the tablet portion off and flip it around. Alternatively, they can also close it all the way up and hold it in tablet mode without having the keyboard exposed. Detaching the Chromebook is simple, as it has a magnetic clasp. The HP X2 therefore offers an interesting form factor which is more versatile than the traditional clamshell form factor. 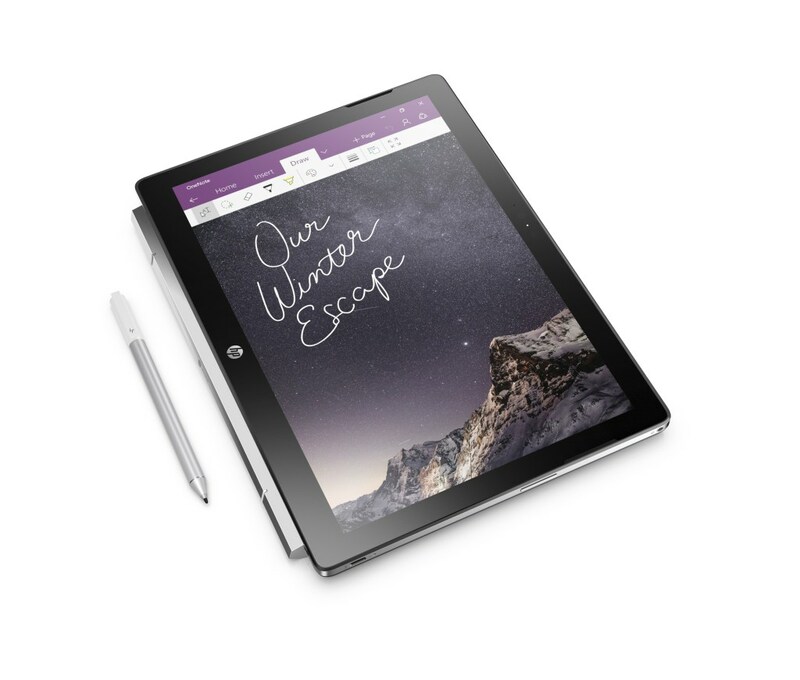 It’s also lighter and thinner than the Microsoft Surface Pro. However, it remains to be seen how good the user experience of using Chrome OS as a tablet is. It has to be good, because if it isn’t, the whole USP of the device is wasted. The device uses the same display as the Samsung Chromebook Pro/Plus and the Pixelbook. The 12.3-inch 2400×1600 IPS LCD is rated for 400 nits of brightness, and it has been generally acclaimed to be a great display. It’s worth noting that Windows laptops in this price range still struggle to offer Full HD IPS displays, so the extra resolution on offer here is an added plus. The Chromebook X2 has a full-sized keyboard, a fairly big touchpad, and an AES Wacom-powered pen. Crucially, the pen is bundled with the Chromebook, instead of being offered as an additional purchase. 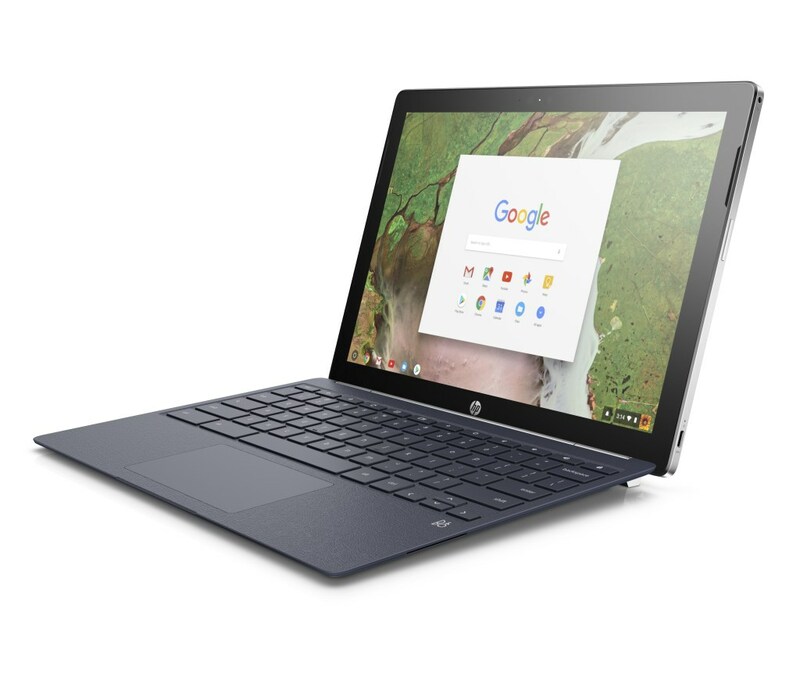 Moving on, HP has confirmed that the Core m3 will be the only processor offered with the HP Chromebook X2. An 8GB RAM version will be sold, but there are no details available on when will it be available. The price of the configuration is also currently unknown. Chromebooks typically have low-power chips that don’t tend to offer a lot of performance, so the Intel Core m3-7Y30 is a step up in this area. It’s a 7th generation Kaby Lake processor, which means that it’s faster than Skylake-based Core m chips. Reviews have also said that the chip’s thermals are much better than its predecessor, which is an added plus. However, users shouldn’t expect it to perform on par with, for example, a Core i5 processor. That’s because this chip has a 4.5W TDP just like other processors in the Core M series, while the Core i series have a higher TDP of 15W. In simple terms, this means that turbo/boost performance of the Core m3 will be great, but sustained performance will take a substantial hit compared to the Core i3 / Core i5. Also, the 32GB of eMMC storage looks pedestrian these days. Chromebooks can now run Android apps, which means that internal storage is much more important than it was back in the days when Chrome OS was basically a web browser. With budget Android devices coming with 64GB of storage, this is a poor decision. Users can expand storage up to 256GB thanks to the microSD card slot. The HP X2 offers a standard range of options with 2 USB-C ports of the USB 3.0 variety on either side, and a headphone/microphone jack. It also has front-facing speakers that are tuned by B&O. 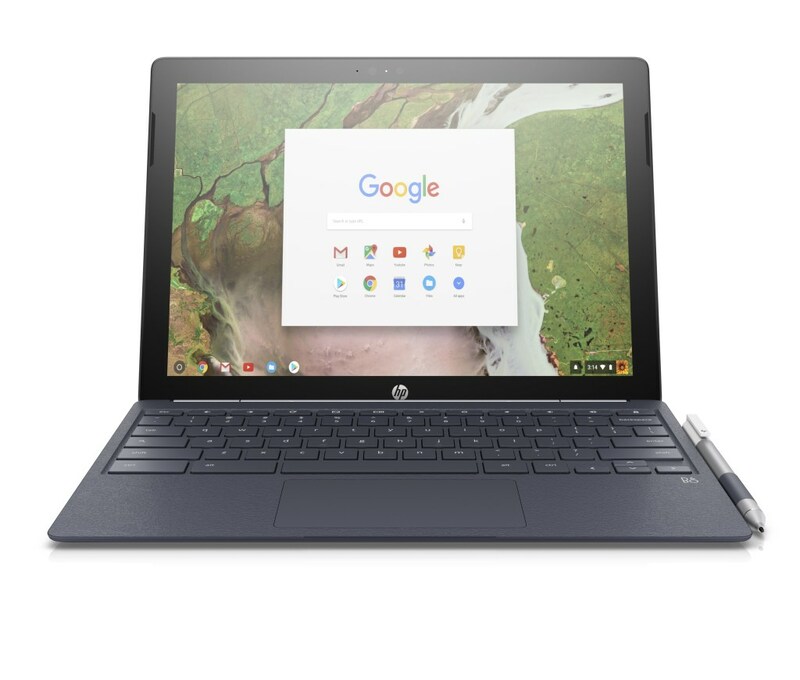 The HP Chromebook X2 will be available for June 10 for $599. It means that there is a time gap of two months between announcement and availability, which is disappointing to see. The price point is higher than the typical Chromebook, but the specifications are higher than the typical Chromebook as well. Also, the form factor is a first for a Chromebook, even though it seems likely that we will see other detachable Chromebooks be launched in 2018. In conclusion, a lot depends on the execution of the Chromebook X2. If it performs well, the Chrome OS ecosystem will be strengthened.